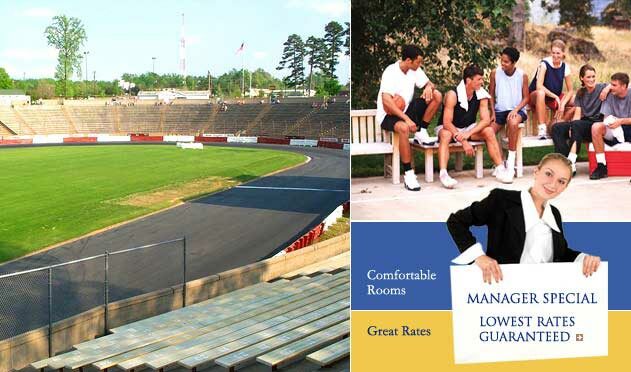 Experience exceptional events at Joel Coliseum in Winston-Salem, NC. With a seating capacity of 15,000, the LJVM Coliseum has a history of filling its event calendar with Wake Forest University men’s and women’s basketball games, concerts, family shows, tennis matches, rodeos, dinners and conventions. The recently added Joel Coliseum Theatre is a mid-size venue that provides a distinctively different, upscale and intimate entertainment experience. In addition, Ernie Shore Field, home of Warthogs Baseball and Groves Stadium, home of Wake Forest Deacon Football is adjacent to the LJVM Coliseum.